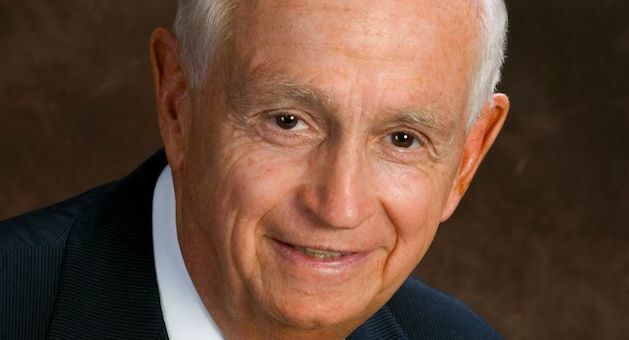 Marriott International has announced this year’s J. Willard Marriott (pictured above) Awards of Excellence (AOE) honourees. Named for the company’s founder and created in 1987, the AOE Awards honor the company’s finest employees for their achievement, character, dedication, effort, and perseverance. Managed and franchised employees from more than 6,500 properties around the world and across the company’s 30 brands can be nominated for an AOE Award. This year, 10 extraordinary employees received the AOE Award and four outstanding properties were also honoured with the Alice S. Marriott Award for Community Service, the J.W. Marriott, Jr. Diversity Excellence Award, the Stephen Garff Marriott Award of Excellence for Culture, and the Debbie Marriott Harrison TakeCare Award of Excellence. This year’s winners are pictured below. Created in 1992, the Alice S. Marriott Award for Community Service honours the legacy of the company co-founder by recognising a property, business unit, or corporate department and its employees for their excellence in corporate citizenship. Established in 2005, this J.W. 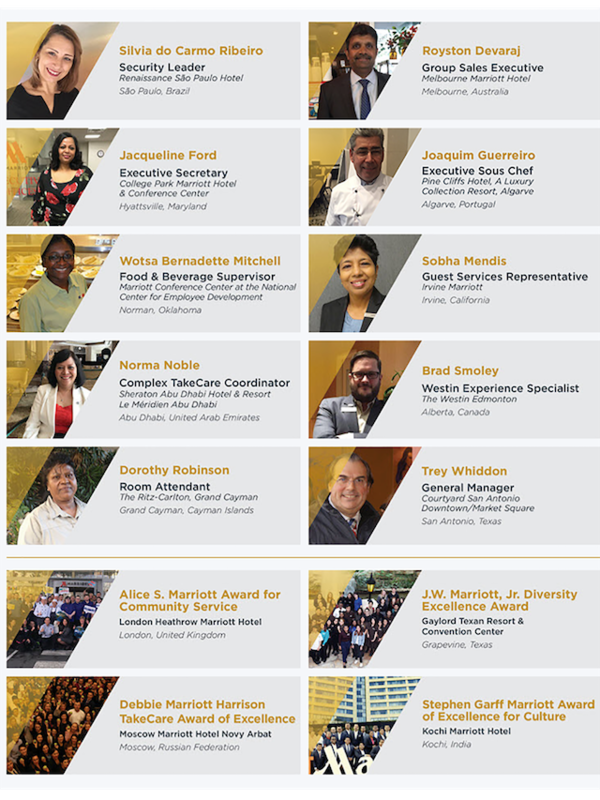 Marriott, Jr. Diversity Excellence Award recognises a managed property, a business unit, corporate department, or individual that demonstrates excellence in promoting diversity and building an environment of inclusion for all. Launched in 2016, the Debbie Marriott Harrison TakeCare Award of Excellence recognises a managed property, department, or above-property team for demonstrating significant achievements in creating a culture of health and wellbeing. Established in 2015, the Stephen Garff Marriott Award of Excellence for Culture celebrates the legacy of Stephen’s contributions to the company. This award recognises a Business Council, managed property, department, or above-property team for excellence in demonstrating the company’s core values.